Large rounded clusters of deep lavender blue flowers are produced from spring to fall atop and at the ends of the low trailing and densely branching stems. 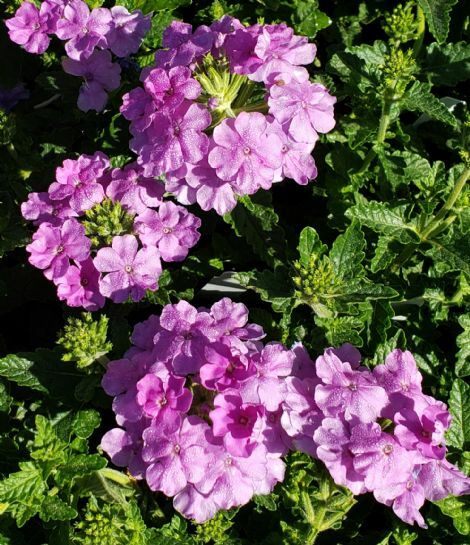 A vigorous trailing plant with excellent flower power, use Empress Flair Lavender Blue Verbena as a spiller, as a hanging basket specimen, and as a groundcovering annual near the front of the garden and landscape for continuous season long color. 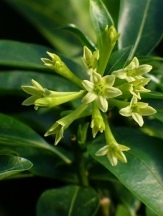 The nectar rich flowers attract a myriad of pollinators including butterflies, bees, and hummingbirds. The deep green foliage is disease resistant. 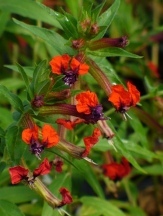 Considered an annual in much of the country, it may be a tender perennial in zones 9 and 10 where winters are mild. Provide the trailing Verbenas with a full to mostly sunny location and a moderately fertile, average moist well-drained soil for optimum health and performance. Few other plants can compete for pure flower power and pollinator prowess! Soil & Moisture: Average moist, fertile, well-drained soils. Should never remain soggy wet. 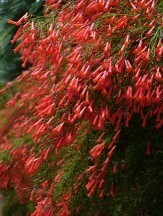 Flowering Period: Spring, summer, and fall probably year round under mild winter conditions. Fertilizing: Spring until about midsummer. Pruning: Deadhead occasionally if desired but is not required. When to Plant: Spring (once the danger of freeze and frost have passed) and early summer. Mid to late summer for fall combinations.